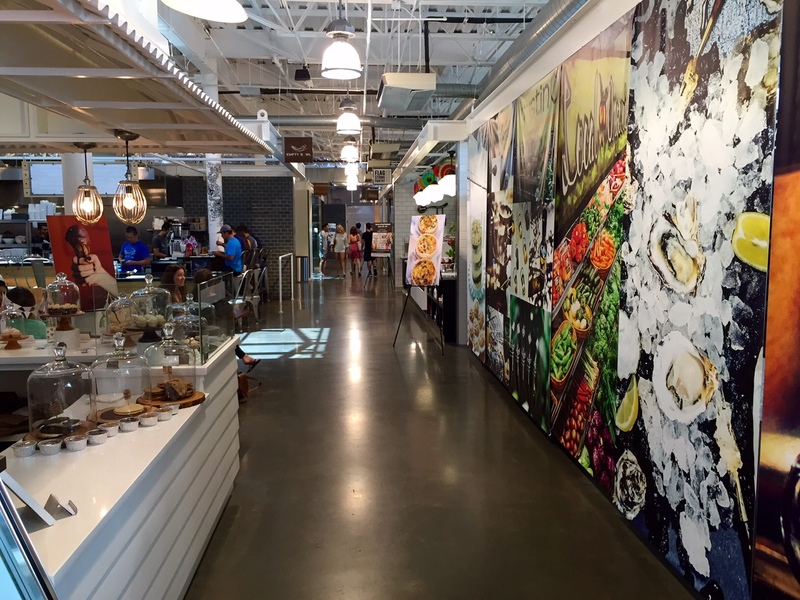 Trouble At Santa Barbara Public Market? 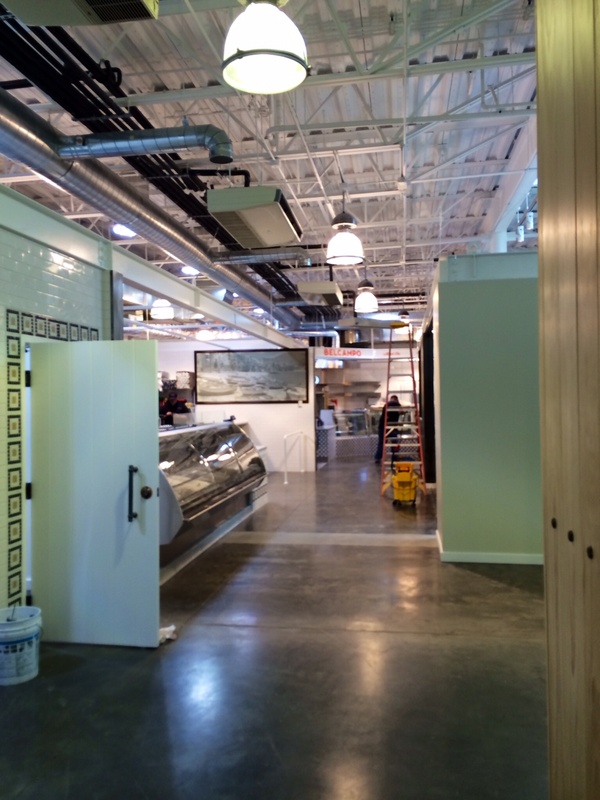 And while we’re on the subject of Santa Barbara… One of the locations of Rori’s Artisanal Creamery is in the Santa Barbara Public Market. 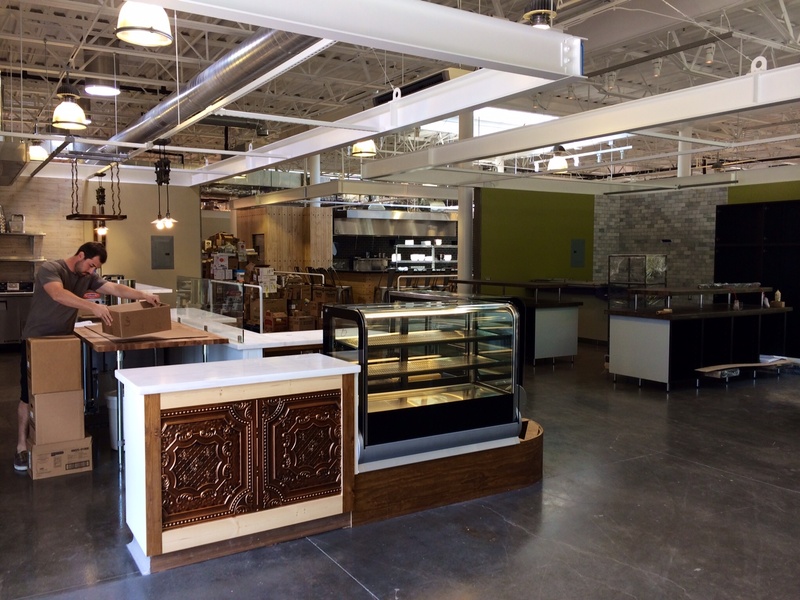 You may remember that the anticipatory buzz was very high when SBPM first opened only last year. Well, recently I had a chance to check out its progress. 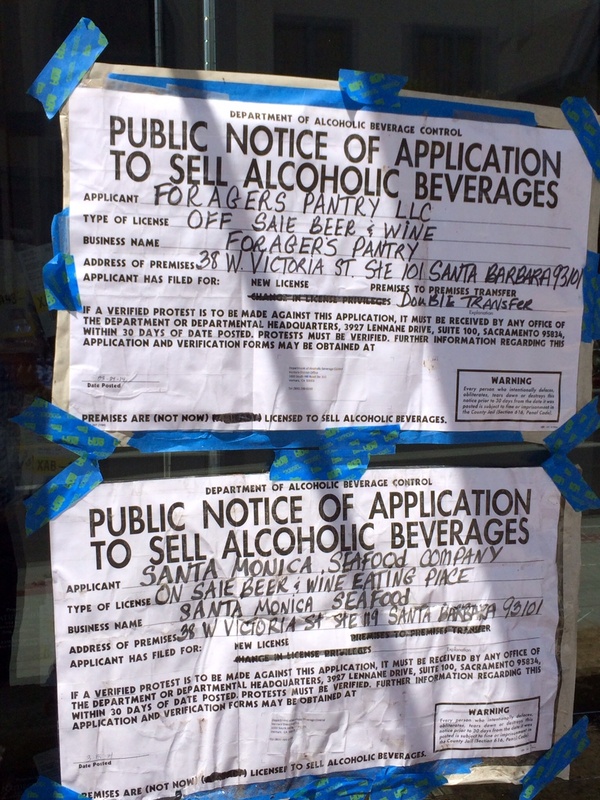 Sadly, it appears that the market, often compared to San Francisco’s Ferry Building, may be having some of the difficulties that have plagued its predecessor The Market at Santa Monica Place, which is currently under redevelopment. 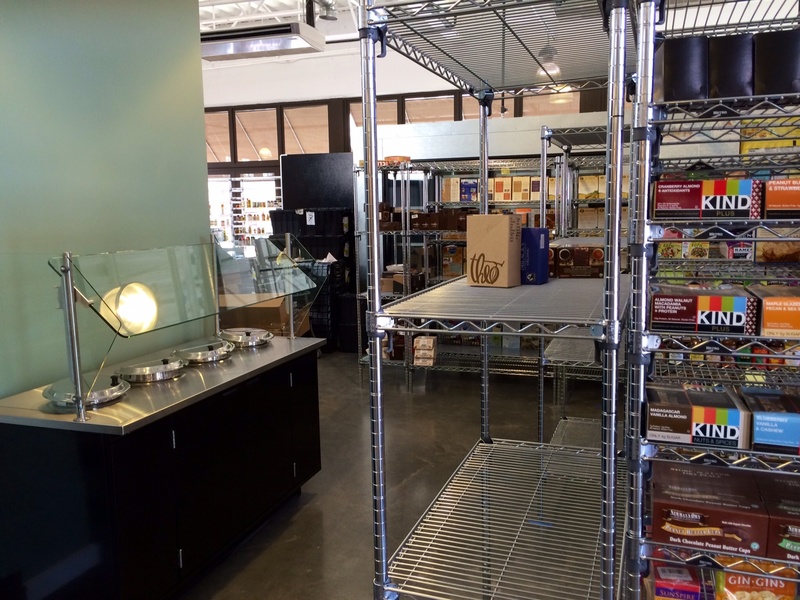 Three of the original stores have now closed; Belcampo Meat Co., The Pasta Shoppe, and Crazy Good Bread. We’ll just have to wait and see how it all plays out. Well, it’s been a bit of a wait, and a whole lot of you have been closely tracking this story. 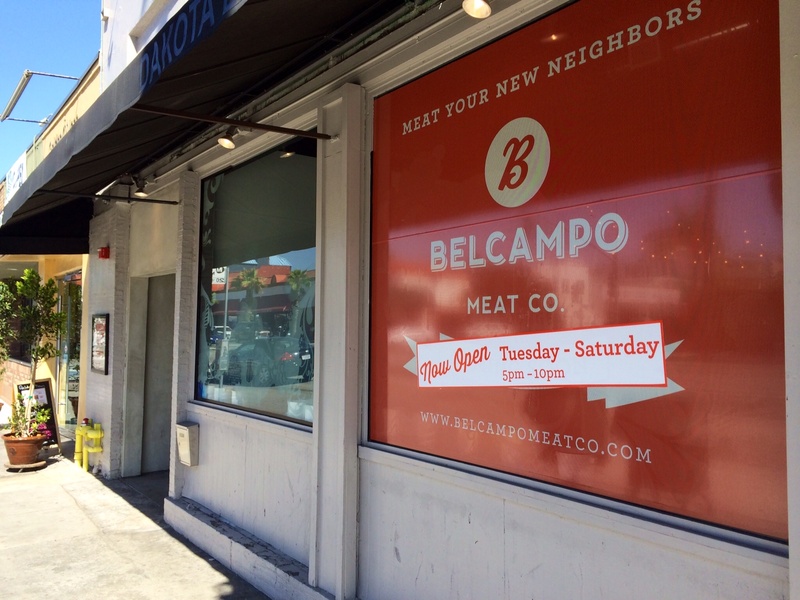 Back in January of 2014, I first noticed signs up announcing that Belcampo Meat Co., the high-end butcher shop hailing from Northern California was taking over the space at 1026 Wilshire Blvd. in Santa Monica that used to house Dakota Lounge. 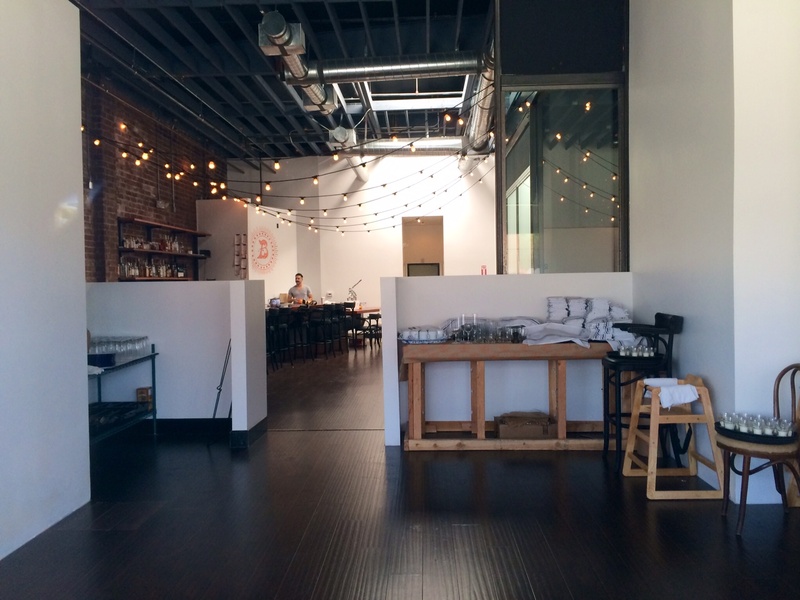 Then back in May of 2014, they briefly opened a pop-up restaurant while construction was going on. 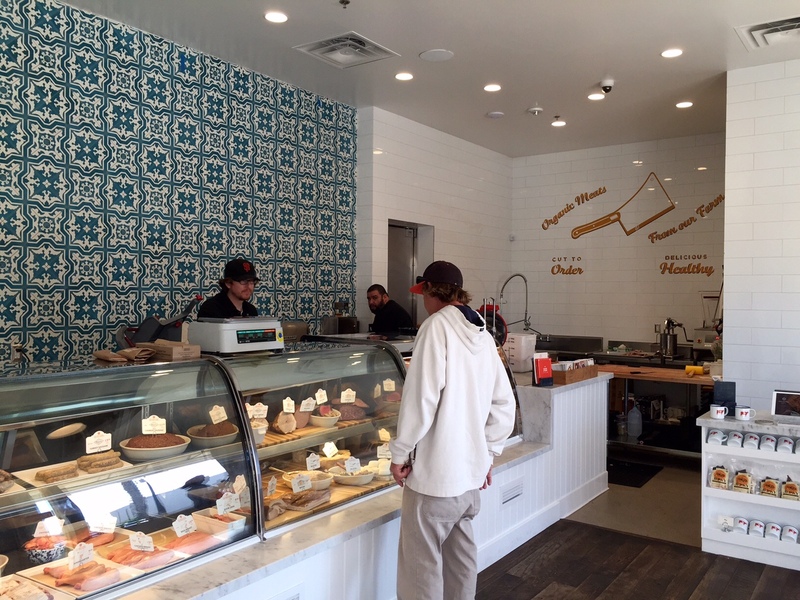 Well, after a full renovation of the space, Belcampo opened their retail butcher shop (complete with a Tiffany-style display window) in the front last week and the restaurant with a separate entrance officially opened on Sunday. Look for a menu that features meats that are grass-fed, organic, and humanely raised at their farm at the foot of Ms. Shasta that you can learn more about here. 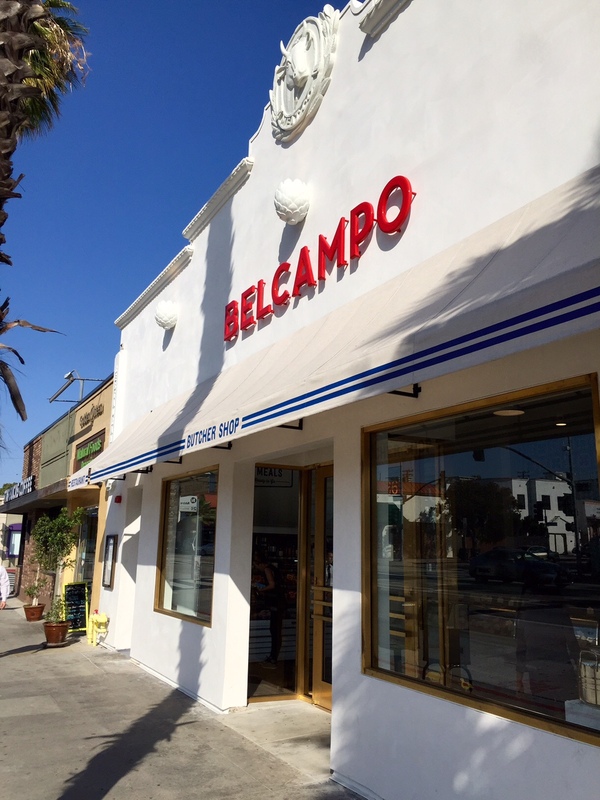 A “preview” of the upcoming Belcampo Meat Co. 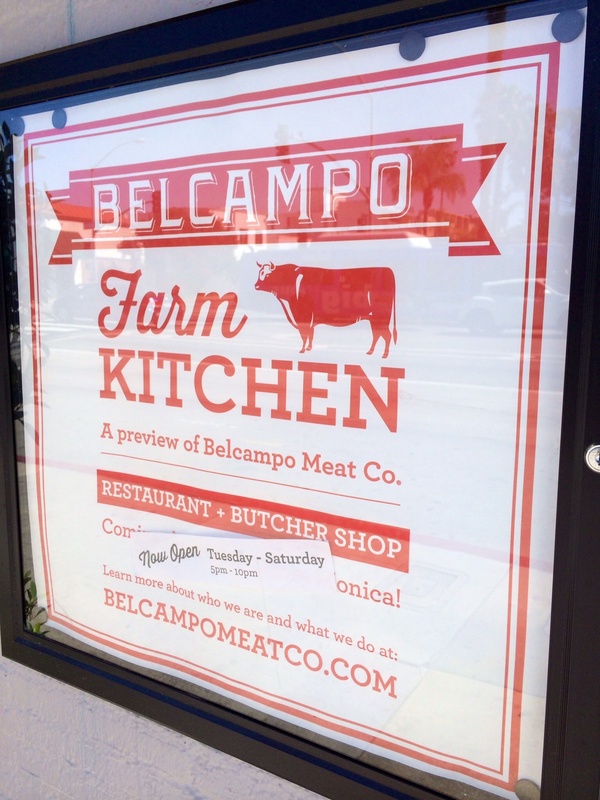 Restaurant and Butcher Shop, the Belcampo Farm Kitchen is now open for a trial run Tuesday through Saturday 5pm to 10pm at the corner of Wilshire and 11th in Santa Monica. You can check out a sample of their menu that features meats that are grass-fed, organic, and humanely raised at their farm in Northern California and learn more here. 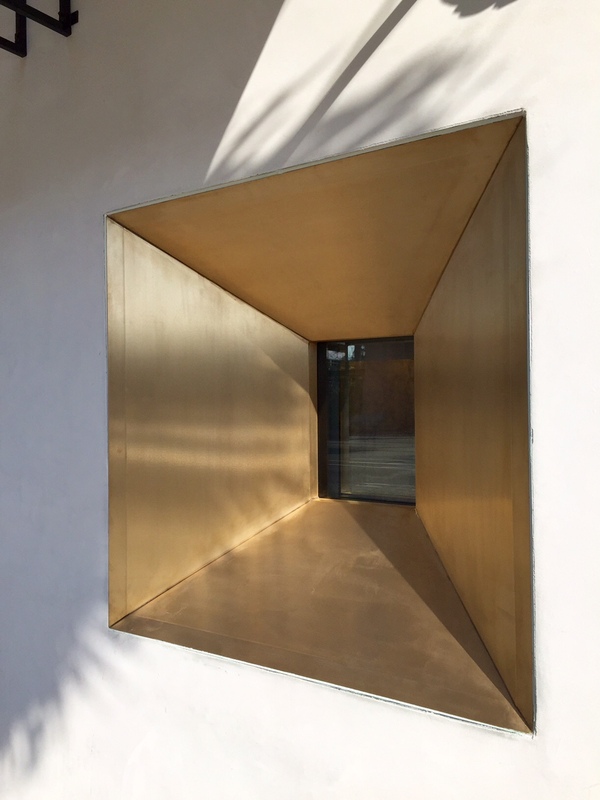 Having sat vacant for a while now, the space at 1026 Wilshire Blvd. 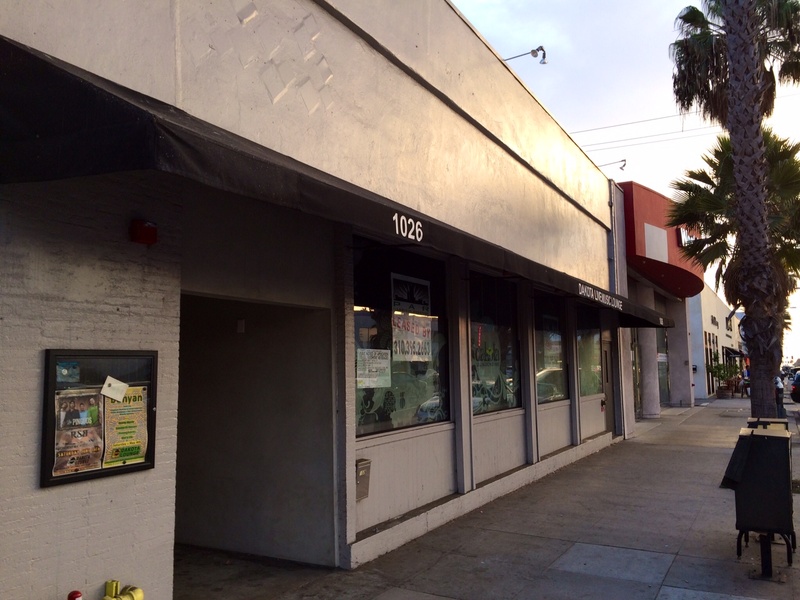 in Santa Monica that formerly housed the club Dakota Lounge is about to get a new tenant. 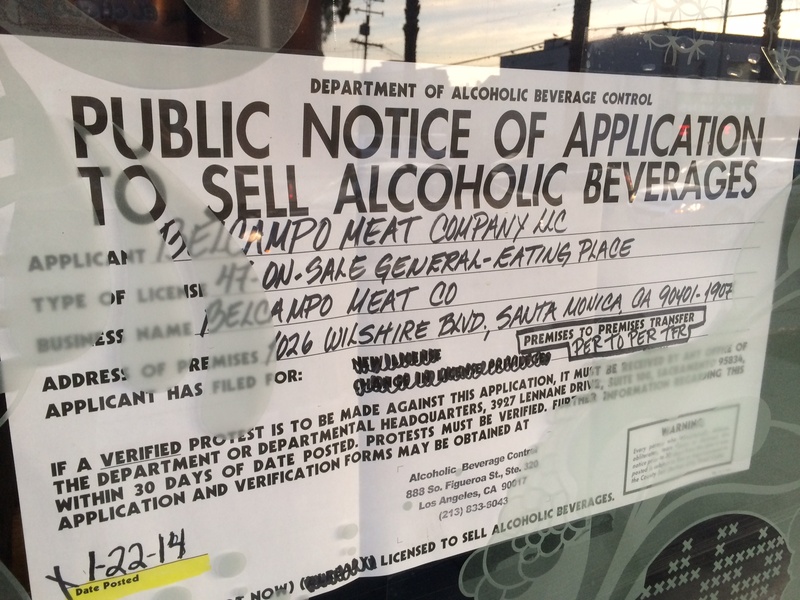 Liquor license application notices recently went up announcing the impending arrival of the Belcampo Meat Company, a NoCal purveyor of premium meats making inroads across the state including Downtown’s Grand Central Market. 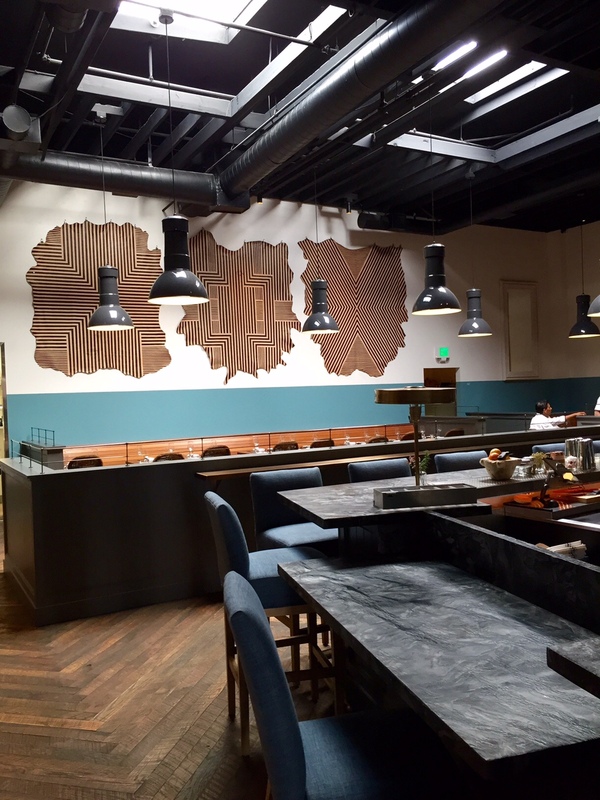 Known for its high-end butchery, according to the notice the Santa Monica location will be featuring a “general eating place” as well. 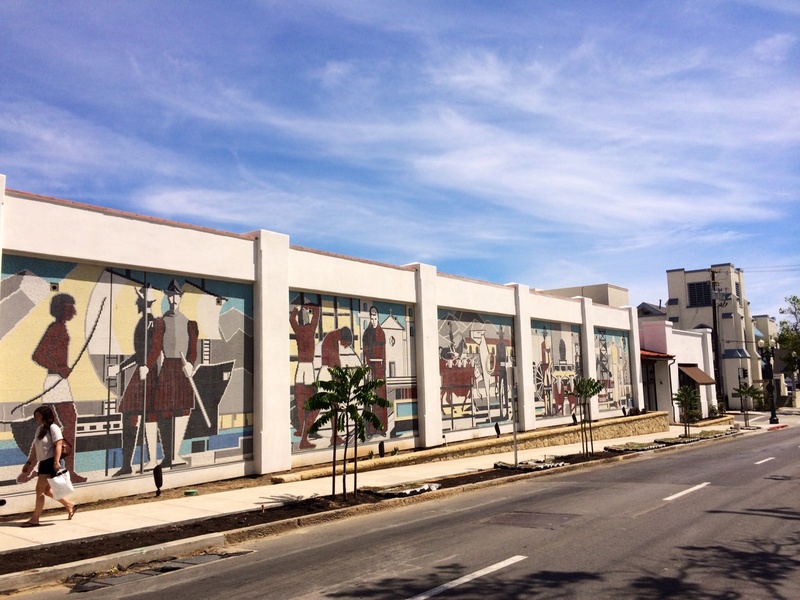 Read more at: Belcampo Meat Company.